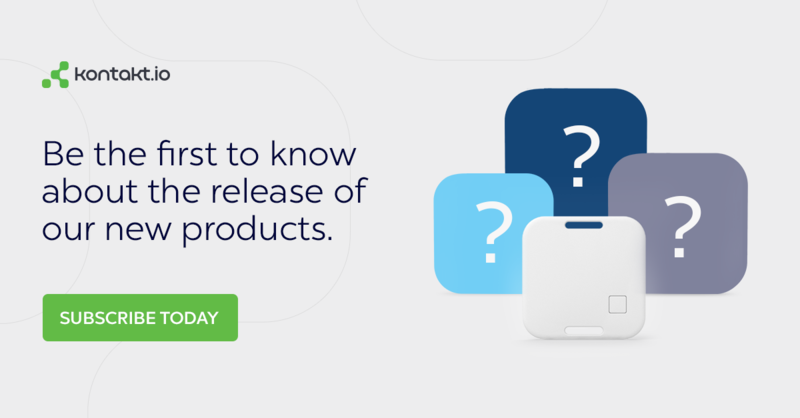 You keep asking us questions about the new beacon format and our platform’s support, so we gathered many of the common questions and answered them. We’ve grouped them all together below for you. If you think there are other important issues we should add, let us know in the comments section! Please note: Eddystone is an open format, so it’ll evolve and grow. The following list presents what’s possible right now (or what we believe will happen soon), but it doesn’t mean it’s the end of Eddystone’s capabilities. We’ll be updating the article once new opportunities show up. Read our introduction to Eddystone here. 1.1 Can Eddystone beacons broadcast all 3 frame types? 1.2 Can I set my beacons to broadcast either iBeacon or Eddystone? 1.3 Can one device support all 3 frames and iBeacon? 1.4 Can Eddystone beacons transmit the battery status? 1.5. What kind of sensor-driven data is embedded in Eddystone? 1.6 Will Eddystone take the security seriously? For example, will it enable ID rotation? 1.7 How does Eddystone affect the battery life? 1.8 Do Eddystone beacons need Bluetooth turned on? 2.1 Can Android devices scan for Eddystone beacons in the background? 2.2 Can Eddystone wake up Android app? 2.3 Does Eddystone work with 4.3 Android devices? 2.4 Is Eddystone for iOS capable of monitoring (running in background) and ranging (running in foreground)? 2.5 Can Eddystone wake up iOS app that isn’t running in the background? 2.6 Can a single app work with both iBeacon and Eddystone at the same time? 2.7 What value should be used for defining monitoring regions on iOS? 2.8 Will my iBeacon-enabled app stop working if I update my beacons to the latest firmware? 3.1 Can Eddystone URLs be translated by non-Chrome browsers? 3.2 How will Eddystone-triggered URLs look like? 3.3 How does Eddystone deliver URLs to users? Does a user have to open a browser in order to see something? 3.4 Under what circumstances can the Eddystone format push content to a phone that has no app installed? 3.5 Can I decide to whom I want to send URLs? 3.6 May I use my custom link shortener? 3.7 May I broadcast text instead of URL? 4.1 Will Kontakt.io beacons have the ability to update to a firmware that supports Eddystone? 4.2 Do my current beacons support Eddystone-TLM? 4.3 Is Kontakt.io going to add some kind of antispoofing mechanism? 4.4 Can I manage Eddystone Beacons with my Cloud Beacon? Can Eddystone beacons broadcast all 3 frame types? It depends on the manufacturer. At Kontakt.io, Eddystone beacons can broadcast all three frame types—one after the other. Can I set my beacons to broadcast either iBeacon or Eddystone? Our firmware v3.0 enables you to switch between iBeacon and Eddystone. Learn how to do it. Can one device support all 3 frames and iBeacon? It is possible, but our beacons don’t support this feature yet. Transmitting iBeacon and all three Eddystone packets as well as a scan/response packet represents a huge battery drain, and until we have developed a system to broadcast all of these packets and keep a reasonable battery life, we’ll add this capability to our beacons. Can Eddystone beacons transmit the battery status? The third frame type (Eddystone-TLM) does this, yes. What kind of sensor-driven data is embedded in Eddystone? Currently, Eddystone is able to broadcast the battery status and device’s temperature. Remember, though, that Eddystone is open, so anyone may help it grow. What’s more, Eddystone-TLM frame type supports versioning, so there’s a room for development. Will Eddystone take security issues seriously? Will it enable ID rotation? Currently, Eddystone itself is no more or less secure than the iBeacon profile. If you use a tool like Kontakt.io’s Proximity SDK or our API, you can easily and securely rotate your iBeacon or Eddystone beacon. How does Eddystone affect the battery life? There’s no big difference between Eddystone and iBeacon when it comes to this issue, provided that you’re only broadcasting one frame type. As you add more and longer broadcasts, the battery draw increases. Do Eddystone beacons need Bluetooth turned on? Eddystone beacons, like any other BLE beacons, broadcast a radio signal based on Bluetooth Low Energy. A smartphone, in order to recognize and understand this signal, needs to have Bluetooth enabled. Can Android devices scan for Eddystone beacons in the background? Our SKDs support background monitoring right now. According to Google, there will be a native support for that with the release of Google Play services update (v7.8). Can Eddystone wake up Android app? Does Eddystone work with 4.3 Android devices? If they only have support for Bluetooth LE, there’s no reason why it shouldn’t. Is Eddystone for iOS capable of monitoring (running in background) and ranging (running in foreground)? Our iOS SDK supports ranging. In terms of monitoring, scanning on iOS doesn’t operate within CoreLocation (as it does for an iBeacon profile), but within CoreBluetooth. Therefore, Eddystone monitoring on iOS is less energy efficient and has fewer features. Can Eddystone wake up iOS app that isn’t running in the background? Can a single app work with both iBeacon and Eddystone at the same time? Yes, although there are some tradeoffs you’d need to make, such as having hardware deployed in both beacon formats. What value should be used for defining monitoring regions on iOS? Namespace ID would be the closest thing, but monitoring regions only apply if you’re scanning with CoreLocation, and Eddystone beacons only interact with iOS devices via CoreBluetooth, so there’s no direct analogue. Will my iBeacon-enabled app stop working if I update my beacons to the latest firmware? Can Eddystone URLs be translated by non-Chrome browsers? Eddystone-URLs can be recognized only by browsers that support Eddystone-URL. Currently, the only browser with this support is Chrome. How will Eddystone-triggered URLs look like? How does Eddystone deliver URLs to users? Does a user have to open a browser in order to see something? For iOS, there’s a Chrome Today widget that enables users to access an on-demand list of URLs broadcasted by nearby beacons. The list is visible after opening the Notification Center. After tapping a link, the browser opens and displays the content linked. When it comes to Android, we don’t know yet how Google is going to address that, but we may assume that the approach will be similar. We’ll see that in action once Google releases Google Play services v7.8.Right now, you can see URLs in the Physical Web app. Under what circumstances can the Eddystone format push content to a phone that has no app installed? Can I decide to whom I want to send URLs? You can’t “target” your URLs, but it’s possible that applications could choose what kind of links they want to receive. May I use my custom link shortener? Absolutely! You may use either Google’s shortener or the one of your choice. May I broadcast text instead of URL? Theoretically, you may, but it doesn’t make much sense. Remember that links broadcasted by Eddystone beacons aren’t just plain URLs—they contain meta titles. This is where you can place a short call to action or a catchy headline. Eddystone-URL has to start with a byte representing the http:// or https:// prefix so your text wouldn’t look good. Moreover, if a user clicked on it, a browser would open. Needless to say, it would display an error page. Do Kontakt.io beacons have the ability to update to a firmware that supports Eddystone? Yes, they do. Update your beacons to the newest firmware and you’ll be able to choose whether you want your beacons to broadcast iBeacon profile or Eddystone format. Do my current beacons support Eddystone-TLM? Your beacons can already broadcast data with the temperature and battery level. Can I manage Eddystone Beacons with my Cloud Beacon? Currently, Cloud Beacons aren’t capable of managing Eddystone beacons. Didn’t find your question? Leave it below or drop us a line. Exploring the beacon industry? Get the complete report for free! Re how does Eddystone deliver URLs to users, you say that an ondemand list of urls can be created from nearby beacons. Do you mean that, for example, in a retail store, one url could offer to describe a product’s features and price while another could offer a discount and another a free coffee? Thank you for so prompt a reply! May I follow up with one more? Can an app present a richer range of content/options than an Eddystone_URL or are they equal in their promise of performance? Look, Eddystone-URL broadcasts a URL that displays as a link on a user’s device. You can’t customize its design, you can’t change the way it works–it’s just a link with some meta description. Eddystone-UID is a totally different thing. Since it “speaks” to an app, it’s you who decide what the triggered action does, and how the content looks. You can display any content and trigger any action you dream up–as long as you have a beacon-enabled app. Yes, it does, thanks. I had not grasped that Eddystone was more than a URL server. It’s the UID that will make app developers nervous, or worse, as your CEO pointed out in his great “Google Wants You Dead” piece. 1. What will be the behaviour of eddy stones beacons if multiple of them are in very close proximity say 50-75 of them ? Will they still transmit correctly ? 2. whats a scan/response packet? is it different form UID/TLM/URL packet? When it comes to the Eddystone’s scan/response packet, it’s exactly the same as iBeacon’s. – with this system, I’m afraid a lot of mobile end users will receive urls they didn’t ask for, which is a little different from iBeacon where you do have to install an app to receive info : in Eddystone case, there is no opt-in system, how can a user block certain url but not all ? – in iBeacon model, you can send a notification which leads to a url, id Eddystone case, it seems that there is no notification message anymore, which in my opinion is a poorer system, can you tell us more about this ? You can change your URLs through your Web Panel and update them with the admin app. We don’t support bulk URL management yet, but it’s actually a great idea and we’ll certainly think about it! There’s no need to worry about spamming users with irrelevant URLs, because they show up on their smartphones on demand. I explained it here: http://kontakt.io/blog/what-is-eddystone/#comment-2158973404 — I hope that’ll reassure you about the user’s comfort. When it comes to Eddystone’s limitations, please remember that URL is actually a one third of Eddystone’s capabilities. Eddystone broadcasts three different frame types: Eddystone-UID (iBeacons’ UUID counterpart), Eddystone-URL (the one you mentioned), and Eddystone-TLM (data collected by sensors). The first one does exactly what iBeacon does–it broadcasts a BLE signal that triggers designed actions in a beacon-enabled app. So Eddystone doesn’t send URLs *instead* of notifications. In fact, it sends URLs *and* triggers notifications, *and* gathers and broadcasts telemetry data. You can’t say it’s a poorer beacon format, can you? How can we change url of Beacon…? 4. Change the Eddystone-URL value. That’s all! Your beacon is already broadcasting your custom URL! 🙂 Please let me know if that helps. If you can change the url so easily this way what is the point of the “Action” in the web-panel? Also, within the application i am noticing that the content section only finds beacons set to ibeacons not eddystone format and also it is does not show the url in content? Does this content only work when it is set to UDID/TIM? Actions are designed for iBeacon and don’t work with Eddystone. It works as follows: you set up an action, say ‘open a website’. Once your smartphone is in the range of iBeacon, it detects its signal and asks the Cloud what do with it. The Cloud answers: open a website, and your smartphone performs the action. Eddystone-URL, however, doesn’t need the Cloud–it sends a link directly to your smartphone. There’s no use for actions here. Yes that is helpful – so basically in order for the ibeacon to connect for the url to be seen the cloud beacon is needed.. The Cloud Beacon doesn’t support Eddystone yet. Meanwhile, you can see your Eddystone-URLs in our Admin App or in the Chrome widget I mentioned, and your iBeacon actions in the content tab in your Admin App. We designed actions just to demo how beacons work. We’ve never recommended using our actions in custom, real-world solutions. That’s what apps are for. If you use actions, I strongly recommend starting to think about custom triggers, because we’re not going to support this feature forever. Suppose, I have Physical web supported browser and an app installed in my mobile device . Also Eddystone beacon with Unique UID and URL configured from Kontakt portal. My question is, when my mobile device enters in the range of beacon, that time what will broadcast first ! Unique UID – By using that ID, my app will launch or URL – Physical Web supported browser opens.!? Are we going to set priority between them ? Can we have any sample-demo-app for Eddystone client, which detects Eddystone configured beacons and open URL or display UID? A beacon broadcasts the Eddystone frame types one after the other at regular intervals. So if you ask me which interval will be detected as first, I say it depends on when a user enters a beacon’s range. But because those intervals are rather short, I would say it doesn’t really matter and a smartphone will detect all frame types *almost* at the same time. Please note that Eddystone-URL doesn’t launch a browser by itself. It triggers a URL to an on-demand list of URL emitted by nearby objects. Only if a user opens this list, and tap on your URL, a relevant website opens. I explained it in this comment: http://kontakt.io/blog/what-is-eddystone/#comment-2158973404 — please take a look. We’re going to release a demo you asked about, but it’s not our priority by now. Please stay tuned and we’ll be informing once that kind of app is released. Meanwhile, please head over to our SDKs that will help you easily build it on your own. Thanks @agnieszkaIO:disqus for quick a response. You’re welcome. Feel free to reach out to us anytime if you need further assistance. I read through most of your answers. Just got confused in the middle so wanted to clear a few points. 2. You say the URL can only be initiated if the phone is switched on. So does that mean any Bluetooth enabled android or iOS phone when switched on shall get get a notification which the user can select and shall open a window with the message? Or do these phones need a specialized scanner installed in them to get the notification that there is a new message? 3. If I want to include a small text beforemy url message, is it possible? 4. Can the eddystone beacon open url’s in the normal chrome browser of Android? 1. First of all, Eddystone-URLs don’t trigger push notifications, but on-demand links. It’s meant to work on both iOS and Android. It already works on iOS, thanks to a Chrome Widget in the notification center. When it comes to Android, we don’t know how Google wants to approach it, but probably it’ll work in a similar manner as it does on iOS. The update is to come shortly. 2. Any device equipped in Bluetooth 4.0 has such a “scanner” already built in 🙂 The only thing you need to do to receive URLs is to turn your Bluetooth on. 3. Eddystone-URL is meant for URLs, not text, so you can’t customize your message. What you can do, though, is to customize your meta title–it’s the only text attached to your link. Please let me know if that helps! Now that the Play Store v7.8 has released, can you elaborate on the delivery of the URLs to the user? Will it be via an app or a push notification or we need to open browser or google now to see beacons? Now that the Play Store v7.8 has been released, can you elaborate on the delivery of the URLs to the user? Will it be via an app or a push notification or we need to open browser or google now to see beacons? As Eddystone UID cannot wakeup an IOS app unless it running in background, soo my question is that is it possible that a beacon transmits IBeacon and eddystone signals alternately? Hello Kuldeep, as mentioned above, it is possible, but our beacons don’t support this feature yet. We’ll add this feature once we’re absolutely sure it enables to keep a reasonable battery life. Apple says that IOS can only handle upto 20 regions per app. What If i had 50 stores across the world and each store has 10 beacons with same major and different minor values, and each beacon triggers a different function. Does that mean I can only have 20 shops? what does it actually mean ‘Reagion’. Regions don’t have to represent physical locations. They do if they are based on GPS or other forms of geolocation; so there might be regions such as work, home, school etc. In order to prevent from excess user tracking and battery drain, Apple limited a number of regions per app to 20. Let me know if that’s clear. Thank you for explaining it clearly, but still a doubt is going through my mind. Yes UUID’s would be the same, but each shop would have a unique Major value and 10 different minor values, all 10 beacons in each shop would broadcast different informatiion, dosent it make a ‘UUID +Major’ region?? soo by that would I be able to monitor only 20 shops then? Nope, you still can set your regions using only UUID (it’s up to you which values you want to use when setting up your regions). Then, you’d have one UUID for all your deployments (1 region), say, a unique Minor for each venue (50 venues), and a unique Minor for each item. Your infrastructure may consist of 1000 beacons spread around the world and still be one region. Remember, it’s Major that defines your physical location, not a region. Hi Angiezka, I´m little confused, so if i create a CMS for retailers, each Retail Brand have 20 stores and on each store i put 30 beacons (600 beacons)… but we have a big partnership with 50 retailers on the same condittion, the result is (1000 stores and 30.000 beacons) 0-0, so, the UUID its the same for all the beacons my company buy from kontakt, (I confused here) a unique Minor OR Major ? for each retailer brand, (50 unique Major/Minor) and a unique Minor for each beacon…it´s right? …and the store factor?.. The best practice is to have one UUID for all beacons in your deployment, different Majors for different groups of beacons, and different Majors for individual beacons within these groups. So in your scenario, UUID would be the same for all 30,000 beacons. Each store would have a unique Major value and as many different Minors as there are beacons in a given store. how can a restaurant segment and target customers to up-sell things? If a beacon is placed inside or outside a restaurant to market to people walking outside how can the same system not send notifications to customers already dining ? Can it provide multiple functions? Thanks for all this info. How much does this support with Windows App? Can I expect the same behavior with windows 10 mobiles as same as android or iphone.? Are there legal considerations regarding pushing content to phones? I would assume you can’t just push whatever you want to whomever. It works like email marketing–one must agree to get this type of information. When it comes to mobile apps, a user usually gives such a permission while downloading your application from the app store. If the app is beacon-enabled, a user also needs to enable location services. Eddystone changes it a little bit; since the support for Eddystone is semi-native, you don’t have to have a separate application to receive notifications triggered by nearby Eddystones, and you already agreed to receive notifications (by installing/updating Chrome or Google services). That doesn’t mean that you’ll keep receiving messages every time you walk by a beacon, though. Eddystone’s links aren’t delivered as push notifications but an on-demand list, so you have to be curious to discover what’s in your proximity to get Eddystone-triggered links. Perfect, that’s exactly what I was thinking, but wanted to confirm. 1) Can I create customized android app which will also listen to Eddystone beacons messages(urls)? or google chrome is the only available solution till now? beacon will send message and my android app(not chrome) will listen to that message and do some calculation at app level and if required my app will update some data in cloud. 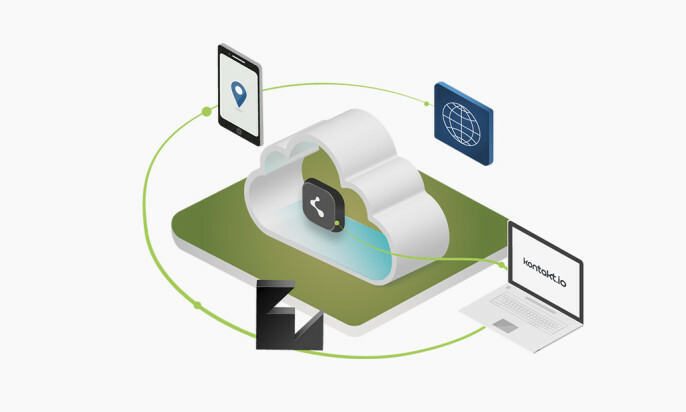 there is no direct connection between cloud and beacons. If I want to change in beacons url then I will change it from admin console of your playstore management app. 1) Yes, you can set your app to “listen” for Eddystone-URLs. 2) I attached a specification of Eddystone’s data packets. Let me know if this is what you’ve been looking for. If you worked on iOS, such a behavior wouldn’t be an issue but, unfortunately, this is how Bluetooth-enabled apps work on Android. I have a query regarding the use of Eddystone URL Configuration mode. Does Eddystone beacon continue to broadcast regular advertisements (e.g. Beacon UID advertisements) also, while in URL configuration mode. Also, what is the information in the broadcast messages in the URL configuration mode? When it comes to your second question, are you asking what kind of message is visible to users whose smartphones grab the URL? If so, they’ll see the URL and standard meta title and description (just like they show up in Google search results). What is the difference between QR code for web urls and eddystone urls??? I have a query on enabling Location service, i.e, below Marshmallow version, beacons were detected without enabling Location services, but in Marshmallow and above version, beacons were not detected if Location service was disabled. Can you please give an idea regarding this. Please this questions with answer in your Frequently Asked Questions Answered section. Thanks in advance. If an android device is already paired with some other Bluetooth device and if any Kontakt eddy stone is put nearby that android phone. Will the physical web notification can appear to android device(I have turned on physical web in chrome)? Hello Agnieszka, I have one question. Can iOS detect ibeacon nearby notifications without chrome?